I’ve decided to update my Thinking Slimmer post to let you know how I am going with it. I have even give it a category all of its’ own. At the moment, I am not terribly sure how well it is going. It is still early days in the scheme of the programme. The programme states that it takes about three weeks for it to become a new habit. I am ok with that. In the first few days, I was not sure if the programme was working, or if the fact that I was on the programme was the incentive in itself. Even, by the nature of posting the results, and reviewing the programme, it can have a placebo type effect. That’s what I told myself anyway. 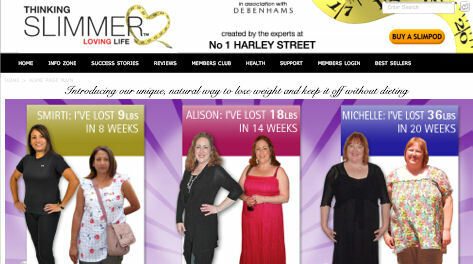 Now getting to the first week in, I am noticing small changes, as the programme tells me. I am making better food choices already. I am not eating so much, and my confidence is improving. There is nothing like keeping on hearing it, to help you believe in yourself. We should try this on the kids when they are dropping off to sleep. “You will be quiet and respect your mother in the supermarket.” Joking aside, I am feeling much more positive than I did a week ago. Is it coincidence, or is it as a result of the programme? I don’t know, and only time will tell how it works for me. I have decided not to weigh. I become obsessed with numbers when I step on the scale, and I want to free myself of that particular reason to shake my confidence. I am going to do this differently from how Thinking Slimmer is judging results so far. As a stress eater, taking the stress out of the equation is the best option for me. I am going to judge my losses and how it works by my clothes and how comfortable I feel, and how positive my outlook becomes. I don’t want to look at the scales and see how many pounds I have dropped. I want to know how good I feel wearing whatever sized clothes I am putting on, and how I feel when I look in the mirror. Roll on week 2. I began quite sceptical and I have been pleasantly surprised so far. There is still a long way to go, but am positive about it rather than feeling like I am being deprived on a diet 24/7.